This book is excellent but is also a textbook example of a textbook in homeopathy – something we have very little of and are in dire need of. We need our Materia Medicas and Repertories. A given. We need our books that wax poetic on remedy states or on the beauty of our philosophy and the principles that we operate by. Given. We even need our books about the systems within our amazing System of Medicine that illustrate how we truly heal with science and with the touch of an artiste. Givens. Yes, we homeopaths do love our books. But, the trick is in having the right ones as there’s an inordinate number of them for such a precise and unconventional profession… and we only have so much of our hard earned money to spend! What we have here is a Scholten’s Element Theory for Dummies of sorts. Kidding aside, this is a book with gentle wisdom and wonderful cases that speak for themselves. The book is practical and can be applied in practice immediately. It is clear and concise yet not simple – it is packed with information that is invaluable. There are 63 cases and they all make the case for their remedy without being forced. Hate that don’t you? Like when you’re reading something, and you get inset box examples to illustrate something the author wants you to understand and you just know they are made to fit the point – this happens in pop psychology books all the time. This happens, as well, homeopatically all the time, as in when we try to get the patient to fit the remedy! It happens to the best of us. In the Welte book, each case is exactly what an intelligent reader wants…the essence of the remedy illustrated so as to be able to identify the remedy in practice. In the Zirconium chapter – the first of three cases is a gem! Literally, it is not only Zirconium metallicum but also, Pearl – are pearls gems? Um. The other beautiful thing about this book, making it practical and textbook like for me is that the potency and dosing of each case is included. Soooo helpful as more often than not this is not even mentioned, never mind, expanded upon with the explanation behind the selection of potency, etc. (granted, not too in depth though – as it really is MM and textbook on Element Theory, but total bonus). The cases are the equivalent of a textbook's inset boxes, used as examples of the theories of, say, Psychology or be it the history text from History 101. And, yet, they are, homeopathically speaking, modern takes on the old time pithy cases that often have to be read in volume to get a full picture of the remedy you are studying. Not that there is anything wrong with that – but, we as humans have gotten waaaay more complex than the Mrs. B of some little village – our ailments are, mind you, the equivalent of the patients seen by Hahnemann in his Paris practice, but instead of just the ailments from the abuses of the medical practices of their day, we have Miasmatic loads that have been compounded by complex lives that are constantly under stress 24/7. We have on top of this the medical abuses our patients also undergo that are so insidious in modern times. A truly sad state of affairs. Yikes – this is now an inset box within an inset box! Ulrich Welte has made a 101 Textbook for anyone that wants to step into the Periodic Table. You can be a beginner/student or a seasoned pro that is wanting to stop jogging all over the Periodic Table each time you're working on a case. You will be immensely helped to get to the correct remedy using the “new methodologies”. Although the book is based on only one Series of the Periodic Table, the Silver Series, it really doesn’t matter as Welte uses this Series by way of explaining the whole Table and how to use the Element Theory in whole, meaning all the Series and all the Stages in their full glory. One really gets the sense of how Scholten’s work was an amazing feat when the precision prescribing happens seemingly so effortlessly. In actuality, the thinking behind the choice of remedies is given in the analysis of each case – so perfect; so textbook! Incidentally, the history of the homeopathic use of the Periodic table is placed in context of the scientific development of the Periodic Table, as in Chemistry and Physics. 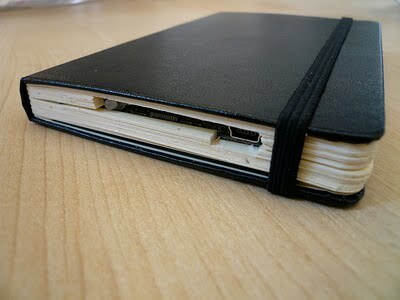 An appendix of the book. The “new methodologies” BTW are what I am interested in these days for my reading material. I have, of course, an interest in Classical Homeopathy and will always have a love of the learning of how repertories and MM developed and have been used historically and currently. But, the “new methodologies” are really just the use of science in our healing art/system: we would be operating in the Dark Ages if we did not move towards the use of generalizations/systems of categorization of the MM. Totality of symptoms vs essence is just so passé now isn’t it? – it’s all about what methodology to use for grouping rxs into certain categories. A Given…that we are gonna group. We’d be crazy not to as we have just too many remedies to choose from and with pure reperorization we could not find the one remedy unless we use the old methodologies in conjunction with Schotlen, Sankaran and other progressive thinkers. It would be a shame not to advance as we can’t treat based on ways that can’t help us find the “unknowns” – case in point, Lanthanides were not used and only the correct remedy is going to cure, so fortunately we have pioneers like Scholten that diligently do their part to advance Homeopathy and strike out into new terrain, literally, ha ha. I will mention here that Welte beautifully outlines in a footnote the parallel journey that Jan Scholten and Rajan Sankaran took to get to their similar classification of remedies/states – similar but different, granted. Schoten used the Periodic Table and Sankaran used plant sensations Miasmatically but, in effect, the sensations of Plant families as a basis to grouping remedies into Miasms is very similar to the Stages of the Periodic Table – the difference was only by 2 years in terms of presenting their ideas to the homeopathic world. Jan Scholten’s Foreward to An Insight to Plants and Sankaran’s own Introduction on his process for developing his system of classification are remarkable examples of collaboration and how great minds think alike. Independently they came to the same genius idea that remedies have reactions that can be grouped so as to not just have 3000 or so remedies to chose from but, rather, to have 10 Miasms or 18 Stages in order to view remedies by either Families and/or Series so as to be able to narrow our choices down. To be clear here, it’s not about short cuts…saving time, etc. (but definitely a side effect of Classification). Rather, it’s about getting the one true remedy/accurate prescription. No siree, no short-cuts here as really the choice is not a) narrowed down to only 10 or 18 as there are the Families, Kingdoms, as well as, the Series combined along with the individual remedies within each of these. And, lest we forget, the initial perception of the patient/case taking that has to be done artistically and meticulously so as to be able to be working with the correct elements, so to speak, in the first place – so, really no such luck for us! Short cuts, smort cuts…and anyways, we wouldn’t want it any other way, would we now? Text books aren’t about a little of this or a little of that – they are about organization of material as in “how to manuals” – be it the events of history or any topic of exploration for that matter. It's about having a way of using all the known data that is currently available…so, even something like History is made so as to be educational for the purpose of having citizens know their, well, history and then be able to be participants in a common, well, history. Having said what I said about short cuts, I’d like to say that The Periodic Table: The Silver Series, is a in effect somwhat of a short cut somewhat to Jan Scholten’s book, Homeopathy and the Elements from 1996. It's not in anyway that it’s outdated or anything like that. I am revisiting it right now and enjoying it’s brilliance, but I think by sheer volume alone it is daunting and, therefore, unruly for me as a practitioner – it needs a textbook summary…and that is what Ulrich Welte has done. I would recommend that all of you re-read the Foreward by Fernand Debats of Scholten’s Elements. 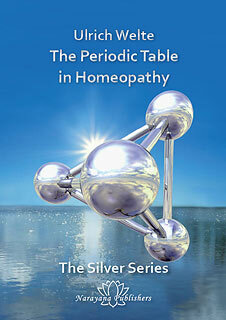 It puts Element Theory in the context of Classical or modern conventional homeopathic practice. When you read, as well, the Foreward of Welte’s Periodic Table book by Jan Scholten himself you’ll see both how wonderful Jan Scholten is because he sees how the remedy pictures have grown since his cases/work on the remedies within the Periodic Table (a true learner/teacher) and, also, how mature this book is. You’ll be inspired, as practitioners, to be able to get at the correct remedy without having to be Scholten or Welte yourselves. The test of a system: can it be replicated? So, can I use this in my practice – and the answer, (obvious to you by now, I'm sure) is a resounding “Yes”. This is because, as Scholten himself states “[Element Theory enables] us to grasp our patients’ problems as a reflection of the Element Theory, it has given us a more profound understanding of nature”. Welte’s book is truly a how-to book that you can put to use on your next case or that case that never was cured from last year!! I have to re-visit some of those myself….some of my prescriptions got an initial reaction, but so what? Just amazed the patient initially, but not what they deserve from us and from homeopathy. The last two times that Jan Scholten was in here in North America, I was struck at how simple it was made to seem. Like, it just came down to placing the patient onto either the Right or Left side of the Table than getting the Row or Series. We were all doing it with the video cases and not as off as one would think one would be when one isn’t Jan Scholten! Once we got the side - from there it was about getting it down to a range of 2 or 3 remedies in a Series, such as the Silver or Lanthanides. Jan Scholten was presenting on Plants - lots of beautiful Tree cases for instance (Scrubby tree or Old Growth Tree? )…Anyways, whatever Kingdom, Element Theory can be the backbone of what one uses to get at the remedy. It was inspiring to be there last November and see a true master of their art in action. In 2006, when he was last here, I didn’t think I could use the Periodic Table and get consistent results. But now with my new Welte textbook and having seen video cases presented by Scholten just a few months ago I do feel that I can – just do it! Another cool thing that is part of the Welte “textbook” that makes it invaluable: there is a Differential Diagnosis of the Stages (Also, done for the different Series as well – this book is the best!). Similar to the D.D.’s of the Plant Families that Sankaran did. Therefore, we can see the subtle differences between a Doubting/Undecided person in Stage 2 as compared to Stage 1 and 3 and 4…simply priceless! The DD’s of the Stages and Series are each respectively “chapters”, actually Appendices of the book. These are something you will flip to and use over and over again. Also, there are summary Charts and Tables that you will use just as one uses their Schema and plasticized summary card of the Element Theory. With this book and, of course, your Software you are going to rock! The book is worth its weight in Gold or, rather, Silver! So, to conclude, I would recommend this book as there is no other like this currently and won’t be for a while. Mind you, we have to hope that the other Series will be done so as to have the cases of each remedy of each Series. Lathanides are covered well by the man, Scholten, that brought them into Homeopathy so, no need Ulrich Welte, wonderful human being to do that for us – just get your cases of the other Series published for us. Wow, I feel so much gratitude for what we have been given, these gifts are treasures that we can mine and use for helping those that are resonating with the substances all around us that are so amazing. BTW, Mr. Jan Scholten when is your plant book coming out?! FYI: it would seem that he is working in one. Note- in the meantime as we await publication of these books (uh hmm, guys....hint, hint) we do have the wonderful Interhomeopathy started by Scholten, Welte and Klein…and our beloved Links so as to be able to see modern cases of remedies…searchable online now). PS - Next time Scholten is here in North America, you might just see me run up to him and hug him….and Ulrich Welte as well. If I happen to meet him, I hope I can discuss some of his “textbook” cases without getting giddy about how happy I am to be a Homeopath at this point in time. It is all being handed to us on a Silver platter, as it were – lucky us! * Thank God as I did study Philosophy and, boy, those Germans were difficult reads no matter how lovely their ideas – Emmanuel Kant was simple now that I compare him with Hahnemann! At the same time the Organon is simple if you shift your perception, non? The translation of the book is somethg to mention because along with the original ideas/work it’s brilliant and makes for very smooth reading. Unfortunately, even though charming, a lot of Homeopathic works are difficult to get through due to awkward language; this one’s translation is wonderful and due to Welte’s Silver series creativity and sensitive nature nothing is left to be desired on the language front…a joy to read, really. increasing my book budget now!!! !